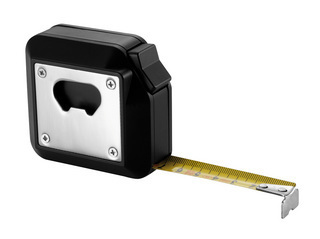 5M measure with built-in bottle opener. Soft touch ABS case. Registered design. Boxed.